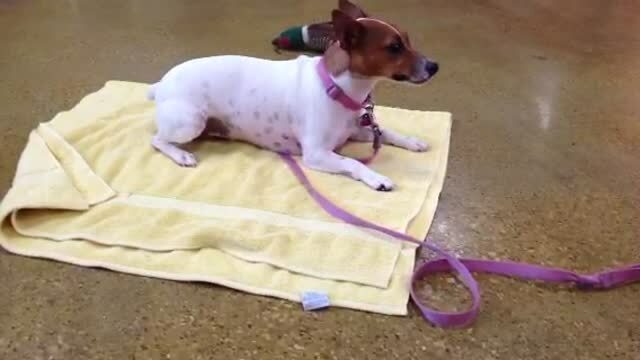 Dog Training, Carrollton, TX - What An Obedient Dog! All dogs MUST be dog friendly and people friendly to be eligible for classes. Private training is available. Please click our "Private Training" page above for details. Puppy and beginner dogs start here to learn all the basics of puppy training and adult dog training. We use reward-based, positive dog training methods. The commands taught are watch me, sit, down, release, come, stay with distance, stay with duration, leave it, drop it, take it, shake, leash walking (walking without pulling), and more!! We will discuss unwanted behaviors, for instance, jumping, chewing, barking, nipping, biting, digging, etc. We will also discuss safe toys, chew toys, emergency recall (in case of door dashing), and solutions to unwanted behavior issues that are going on at home. If your puppy or adult dog is not learning in the group class environment, we can transfer you to private dog training sessions either in your home, or at our facility in Carrollton. All Dogs Must be Dog Friendly! 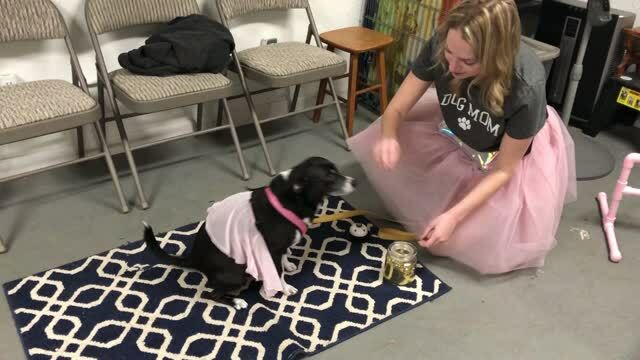 Middle School dogs learn to add more distance, longer duration and advanced distractions with the basic skills they learned in the Puppy/Beginner classes in order to be more calm, and handle more real life situations. The new commands taught are heel (walk aligned to my side), wait at the door, wait and come, park it (go lay down on a settle mat until released), talented tricks, and more!! CGC Prep dogs learn the AKC Canine Good Citizen (CGC) requirements in order to pass the Exam and receive their CGC title! Your dog is almost guaranteed to pass the canine good citizen certification - that is as long as you do your homework! We also administer the CGC Exam on the last session. It's a great class if you want a calm, obedient dog that you can take to dog friendly places. However, most people enroll their dogs in this class in order to prepare them to be a Therapy Dog, Service Dog, or Emotional Support Animal. During class time, we include hospital equipment in order to acclimate your dog to situations in a hospital or an assisted living facility and/or to get him ready to become a service dog in training to assist you with your mobile disability or tasks you need performed for your disability. An emotional support animal in training is to assist you in your mild emotional needs. We do not train psychiatric service dogs. A therapy dog in training goes to hospitals and assisted living facilities to comfort people who are suffering illnesses and are lonely. 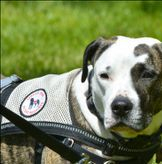 Please click our "Service Dog" page above for more details about our programs. Dog Tricks & Indoor Agility Class! Trick/Agility dogs learn 3-4 tricks a week, including but not limited to, shake, play dead, back up, go around, high five, rollover, spin, take a bow, puppy pushups, touch, paws up, jump thru the hoop, hide, take it on "five", tap, wave, sit pretty. Each week we introduce your dog to indoor agility fun, including different tunnels, low to high jumps, and beginner to intermediate weaves! It's a total blast and nothing but fun! !